JMP Australia manufacture conveyors and also offer a full conveyor roller replacement program with short manufacturing lead times. Because of their extensive stocking programme and specialised tooling, short lead times can extend from small to large quantity requirements. The diameters of the conveyor rollers range from 20mm right up to 89mm. They come with tube material variations. There are PVC, galvanised and stainless options. Shaft selections throughout the range have many options in terms of diameter and style, such as spring loaded, fixed, loose and many other variations. Apart from parallel rollers, JMP Australia also offer tapered rollers, sprocketed rollers and PVC lagged rollers. Various bearing styles and roller load capacities are available for different applications. 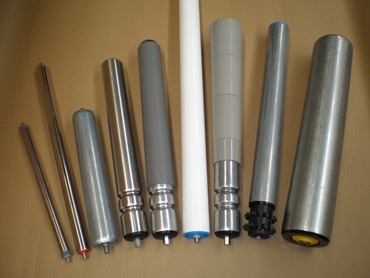 The styles include gravity rollers, driven rollers, wet rollers, low temperature and high temperature rollers.